Pre-curved bow chain rails: two sections, each 9.125 inches long. Style 1 - main deck chain rails: nine (9) sections, each 9.375 inches long. 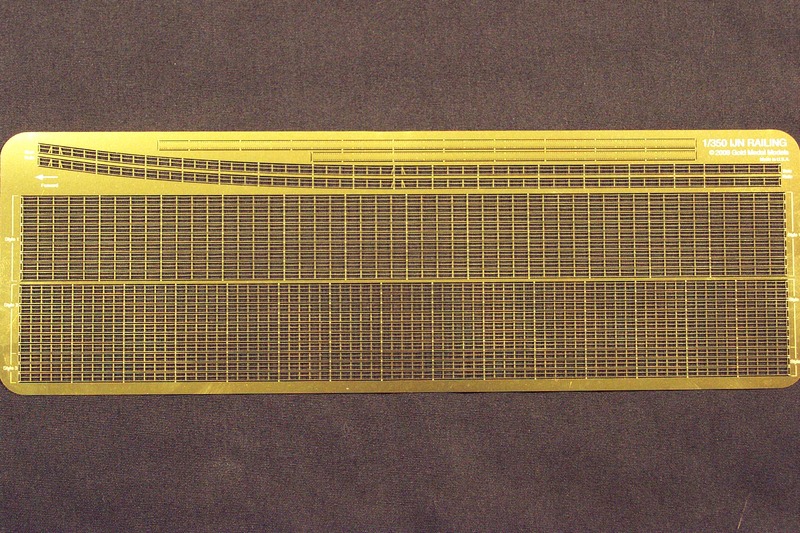 Style 2 - upper deck chain rails: seven (7) sections, each 9.375 inches long. Style 3 - upper deck two-bar pipe rails: three (3) sections, each 9.375 inches long. Simulated canvas-covered pipe rails for upper decks: two sections for a total of 11.375 inches. Simulated chain rails feature individual link detailing. Simulated canvas-covered rails feature relief-etched "canvas" with see-through lacing holes.